Does Judaism Give Women Time Off for Good Behavior? Lost and Found: Tractate Liknot Shokolad – The Chocolate Mishnah! If you need Adobe Reader in order to read the respective Maqom Journal entry, you can download it here. Rabbi Judith Z. Abrams, Ph.D. Rabbi Judith Z. Abrams HUC-JIR '85, was the founder and director of Maqom: Judith Z. Abrams Jewish Learning (www.maqom.com), formerly Maqom: A Place for the Spiritually Searching. Dr. Benton received his masters and doctorate degrees in mathematics from the University of Houston, and he has taught college level mathematics full-time since 1984. He has also held the position of Director of Institutional Effectiveness and Research at Alvin Community College in Alvin, Texas, and he is a past president of the Texas Association for Institutional Research. Dr. Benton was a member of Congregation Emanu El in Houston, Texas, where he additionally served on their Board of Directors and as Chair of the Adult Continuing Education Committee. Currently, Dr. Benton teaches mathematics at Scottsdale Community College in Scottsdale, Arizona, where he lives with his beloved wife, Susan, and their dog, Dr. Chloe Continuum, Do.G. (doctor of growlology). Michael E. Brandt, Ph.D. is a native Brooklynite who has lived in Houston since 1979. He has a BS in physics (Polytechnic University New York), and MS and PhD degrees in biomedical engineering from the University of Houston. He is associate professor with tenure in the Texas Medical Center and directs the Center for Computational Biomedicine there. He performs research in developmental disorders of the brain in children and general computational modeling of living systems. He also has an active side practice doing healing facilitation, spiritual mentoring and life coaching. He is a longtime student of Kabbalah and gives workshops and classes on the connections between science and spirituality. He, his wife Stephanie and son Matthew are active members of (Reform) Temple Sinai in West Houston. For further information, contact him at 713 461-6662 or email mebrandt@houston.rr.com. Nada Chandler was born in Providence, Rhode Island. She received a B.A. degree from the University of Rhode Island with majors in English and Political Science, a M.A. degree from Columbia University in English and Comparative Literature, and a M.A. degree in Judaic Studies from the Laura and Alvin Siegal College of Jewish Studies in Cleveland, Ohio. In Houston, where she currently resides, she has been a frequent presenter at the community-wide Yom Limmud and has taught basic Torah at Congregation Emanu El. In addition to being an active participant in Congregation Emanu El's Torah classes, she has taken a variety of community based courses. For more than a decade, she has been a storyteller of Jewish stories from across the centuries, and for the past four years, she has been the madriacha for the Houston Hadassah Leadership Havurah, a leadership Development and text study group. Nada is a Senior Consultant with Consultants' Choice, Inc., and is currently under contract at Houston Independent School District. As an active member of the community, she is the immediate Past President of the Houston Chapter of Hadassah. She is the very proud mother of two college students, Amelia and Adam. Hannah Dresner, MFA, currently studies toward ordination in the Aleph Rabbinic Program. Previously she taught in the department of Art Theory and Practice and in the Integrated Arts Program at Northwestern University, and thinks of her rabbinic studies as an extension of her work as an artist. She is a Midwestern transplant to Berkeley, California. Dr. Fishbane received his Ph.D. in Social Anthropology of Religion at Concordia University, Montreal Canada, is Executive Assistant to the President of Touro College and Professor of Jewish Studies. He has published extensively on Jewish subjects texts and their meaning. His publications include Deviancy in Early Rabbinic Judaism and The Boldness of A Halakhist, An Analysis of Rabbi Yechiel Mechel Halevi Epstein, The Arukh Hashulhan. Dr. Hilmers completed the Medicine-Pediatrics Residency Program at Baylor in 1999. Prior to starting medial school, he spent 20 years in the Marine Corps as an aviator and electrical engineer, and retired as a colonel in 1992. He spent the last 12 years of his military career at NASA serving as an astronaut on four space shuttle missions including the first flight after the Challenger accident. After completing the Medicine-Pediatrics Residency Program, he joined the faculty at Baylor and worked with the Baylor Pediatric AIDS Initiative. Currently, he is involved with research at the Children's Nutritional Research Center on nutritional programs around the world. His clinical work includes the Texas Children's Hospital General Pediatrics Clinic, the Medicine-Pediatrics Continuity Clinic at Martin Luther King, and the adult emergency room at Ben Taub General Hospital. Laura Duhan Kaplan, Ph.D., serves as Rabbi of Or Shalom Synagogue in Vancouver, Canada. Previously she was Professor and Chair of Philosophy at the University of North Carolina at Charlotte. In addition to thinking and writing, she enjoys hiking, dancing, and singing, especially with her family. Before her death in 1997, Nechama Leibowitz was perhaps the best-known Bible teacher in Israel, if not the world, and was among the outstanding Torah scholars and teachers of our generation. Her terse essays on the Five Books of Moses, always followed by questions for the reader to unravel, drew on the classic rabbinic commentators as well as modern trends in literary criticism and linguistics. She was no liberal, but she invited a wide-open discussion of text across religious and ideological boundaries and remained throughout her life a role model for Jewish educators, especially women. Her unique instructional methods are utilized by many contemporary Torah educators throughout the world. Gilat Yarden Omer is an Israeli-born artist who resides in Miami with her husband and daughter. She grew up in a village surrounded by orchards near Hertzlia, on the Mediterranean coast of Israel. With her family, she spent some years living in Australia and South Africa. After serving in the Israeli Air Force as a lieutenant, she joined Kibbutz Yahel in the southern Arava desert. In the late eighties, she came to the U.S. with her family to pursue studies and she has a BFA degree from Indiana University. With her husband and daughter, she has lived in Spain, the Midwest and California. For the past two decades she has been creating artwork in print, pencraft, illustration and papercuts. The subjects of her Judaica are taken from the Siddur, the Tanach, the Sayings of the Elders and the Liturgy of holidays and Life cycle. Motifs in her art come from the natural world and the graphic forms in ancient Jewish artifacts and manuscripts. Sue Resnick is a candidate for a Masters Degree in Jewish Studies (Education) from the Laura and Alvin Siegal College of Jewish Studies in Cleveland, Ohio. Sue is a founder of the Kivun Chavurah, and has been involved in Jewish education -- as a teacher and student -- for children, teens and adults for more than 30 years. She has sung in many congregational choirs, Shir Hadash (Washington, DC, under the direction of Herman Berlinski), and the Houston Masterworks Chorus. Originally from the Washington, DC area, Sue lives in Houston where she works for the Department of Justice, and is an active member of Congregation Brith Shalom. Louis A. Rieser is the rabbi at Etz Hayim Synagogue in Derry, NH. He teaches regularly in the New England region, most has recently teaching Zohar in Nashua, NH. He sits on the board of the Jewish Federation of Greater Manchester (NH). In addition to his study of Talmud he is currently learning ballroom dancing, and is not sure which is more challenging. Michael Rosen is a consultant. 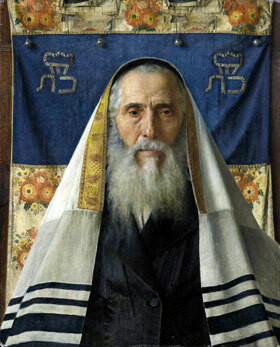 He lives in Los Angeles with his wife Rabbi Karen L. Fox. He has an AM from Brown University in Religious Studies. Cathy Schechter earns a living as a writer and principal of SUMA/Orchard Social Marketing, a corporate tikkun olam entity dedicated to the creation of awareness and educational campaigns to motivate behavior change in the interest of public health and well-being, primarily among low-income, low-literacy audiences. She was co-author with Ruthe Winegarten, z"l, of "Deep in the Heart: Lives & Legends of Texas Jews," (Eakin Press, 1990), and more recently contributed to "Lone Stars of David: The Jews of Texas," by Hollace Ava Weiner and Rabbi Ken Roseman (Brandeis Series on American Jewish History, Culture & Life), and to Encyclopedia Judaica with its first ever entry on Austin, Texas. She lives in Austin, Texas with her husband Eddie Selig, and has has four 20-something children, Julia, Molly, Ellana and Abe. Currently, Cathy is a student at Hebrew College, working on a Masters in Jewish Studies. This piece was written as a final "paper" for a HC summer intensive course on the Akedah, taught by Dr. Eddy Breuer of Hebrew University, Jerusalem. With many thanks to Eddy for allowing me to risk writing an academic paper as a play! A study guide is in process. Jeff Schulman is an Aleph smicha student, and in the dim dark past, an undergraduate anthropology major, brings these two passions together in this paper, which is an anthropological view of the leper ritual in Leviticus. Jeff is married, has two grown kids, and lives in Carmel, California. Susan Shamash, LLB, is a rabbinic student with the Aleph Alliance for Jewish Renewal. She is a happily retired lawyer who lives with her husband Yom-Tov in Vancouver, Canada. In addition to her rabbinic studies, she enjoys her friends and family, walking, gardening, singing, and training her dog, Dulce. Susan is an active member of Or Shalom Synagogue. Debrah Shenefelt is a rabbinic student in the Aleph Rabbinic Program and the leader of Or Ahavah, a Jewish Renewal Congregation in Tampa Bay area. She has a Master's Degree in Public Policy from the University of Wisconsin, and has Spiritual Smicha as a teacher of Jewish Meditation and as a "soul guide." She lives with her husband, Dr. Philip Shenefelt, and Shaina, their 17 year old daughter, in Tampa, Florida. Renee Stern has had a varied career, working as a teacher, writer, and researcher. She holds a Masters degree in Linguistics from the University of Texas at Austin and is currently working on a second Masters, in Jewish Studies, from the Siegal College of Jewish Studies in Cleveland. She is a long-time student of Rabbi Abrams, first studying with her at Temple Emanu El and later in the Melton Mini-School program at the Houston Jewish Community Center. Renee works for the Cornerstone Consulting Group, Inc., in Houston, where she is responsible for researching, writing and/or editing background papers and reports developed as a part of Cornerstone's varied projects in the areas of health and human services and community and organizational development. She has written publications for various social service and advocacy organizations, including the Mental Health Association of Greater Houston. She has also taught writing and linguistics to undergraduates and English-as-a-second language and literacy skills to adults. Shifrah Tobacman is a rabbinic student with the Aleph Alliance for Jewish Renewal. She has thirty years of experience helping people address health and well-being through body, mind, spirit, community and environment. Ms. Tobacman is certified as a Compassionate Listening facilitator through the Compassionate Listening Project. She is the author, producer and performer of Rooftop Poems, a 40-minute multi-media presentation of poetically told stories from trips to Israel and Palestine that she took in 2001 and 2002. Ms. Tobacman is a trained bodyworker and movement specialist in the tradition of Moshe Feldenkrais. She is currently a public health and health education professional working primarily in the arenas of chronic disease management, prevention and environmental policy.